This entry was posted in Happiness, Law of Attraction, LOA, Success and tagged abundance, acceptance, Action, appreciation, attitude, Belief, choice, christmas, Christmastime, destiny, future, giving, GoalHabits.com, gratitude, habit, happiness, helping, Holidays, inspiration, joy, life, love, motivation, Paul Mark Sutherland, peace, potential, success, thank you, today, tolerance, vision by Paul Mark Sutherland. Bookmark the permalink. 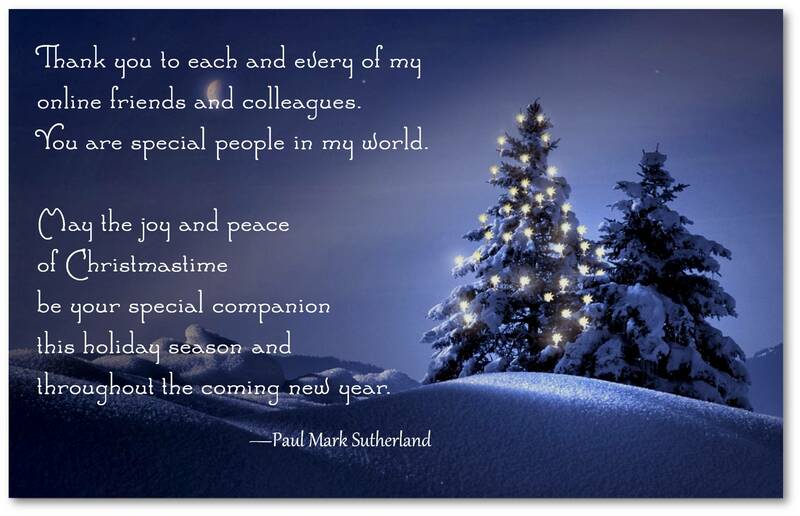 Merry Christmas to you Paul and a wonderful successful happy new year!